Metadata provides a means of indexing, accessing, preserving, and discovering digital resources. The volume of digital information available over electronic networks has created a pressing need for standards that ensure correct and proper use and interpretation of the data by its owners and users. Well-crafted metadata is needed more now than ever before and helps users to locate, retrieve, and manage information in this vast and complex universe. 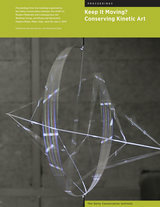 The third edition of Introduction to Metadata, first published in 1998, provides an overview of metadata, including its types, roles, and characteristics; a discussion of metadata as it relates to Web resources; and a description of methods, tools, standards, and protocols for publishing and disseminating digital collections. 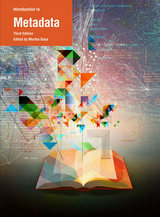 This revised edition is an indispensable resource in the field, addressing advances in standards such as Linked Open Data, changes in intellectual property law, and new computing technologies, and offering an expanded glossary of essential terms. The Middle East played a critical role in the development of photography as a new technology and an art form. Likewise, photography was instrumental in cultivating and maintaining Europe’s distinctively Orientalist vision of the Middle East. As new advances enhanced the versatility of the medium, nineteenth-century photographers were able to mass-produce images to incite and satisfy the demands of the region’s burgeoning tourist industry and the appetites of armchair travelers in Europe. In this way, the evolution of modern photography fueled an interest in visual contact with the rest of the world. 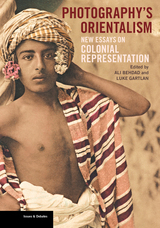 Photography’s Orientalism offers the first in-depth cultural study of the works of European and non- European photographers active in the Middle East and India, focusing on the relationship between photographic, literary, and historical representations of this region and beyond. The essays explore the relationship between art and politics by considering the connection between the European presence there and aesthetic representations produced by traveling and resident photographers, thereby contributing to how the history of photography is understood. What is a historiated initial? What are canon tables? What is a drollery? This revised edition of Understanding Illuminated Manuscripts: A Guide to Technical Terms offers definitions of the key elements of illuminated manuscripts, demystifying the techniques, processes, materials, nomenclature, and styles used in the making of these precious books. 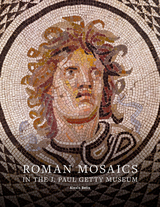 Updated to reflect current research and technologies, this beautifully illustrated guide includes images of important manuscript illuminations from the collection of the J. Paul Getty Museum and beyond. Concise, readable explanations of the technical terms most frequently encountered in manuscript studies make this portable volume an essential resource for students, scholars, and readers who wish a deeper understanding and enjoyment of illuminated manuscripts and medieval book production. 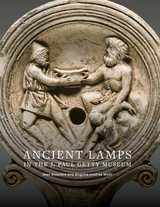 The papers in this volume derive from the proceedings of the nineteenth International Bronze Congress, held at the Getty Center and Villa in October 2015 in connection with the exhibition Power and Pathos: Bronze Sculpture of the Hellenistic World. The study of large-scale ancient bronzes has long focused on aspects of technology and production. Analytical work of materials, processes, and techniques has significantly enriched our understanding of the medium. Most recently, the restoration history of bronzes has established itself as a distinct area of investigation. 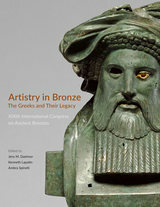 How does this scholarship bear on the understanding of bronzes within the wider history of ancient art? How do these technical data relate to our ideas of styles and development? How has the material itself affected ancient and modern perceptions of form, value, and status of works of art? Revered and misunderstood by his peers and lauded by later generations as the father of modern art, Paul Cézanne (1839-1906) has long been a subject of fascination for artists and art lovers, writers, poets, and philosophers. His life was a ceaseless artistic quest, and he channeled much of his wide-ranging intellect and ferocious wit into his letters. Punctuated by exasperated theorizing and philosophical reflection, outbursts of creative ecstasy and melancholic confession, the artist’s correspondence reveals both the heroic and all-toohuman qualities of a man who is indisputably among the pantheon of all-time greats. 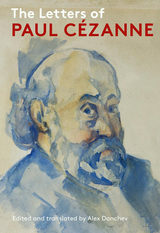 This new translation of Cézanne’s letters includes more than twenty that were previously unpublished and reproduces the sketches and caricatures with which Cézanne occasionally illustrated his words. The letters shed light on some of the key artistic relationships of the modern period—about one third of Cézanne’s more than 250 letters are to his boyhood companion Émile Zola, and he communicated extensively with Camille Pissarro and the dealer Ambroise Vollard. The translation is richly annotated with explanatory notes, and, for the first time, the letters are cross-referenced to the current catalogue raisonné. 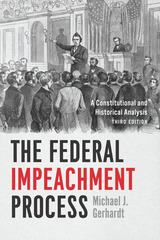 Numerous inaccuracies and archaisms in the previous English edition of the letters are corrected, and many intriguing passages that were unaccountably omitted have been restored. 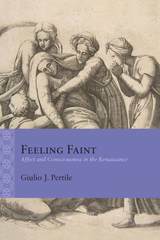 The result is a publishing landmark that ably conveys Cézanne’s intricacy of expression. This volume is the first comprehensive collection of texts on the conservation of art and architecture to be published in the English language. 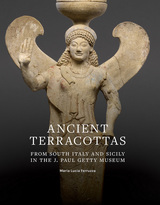 Designed for students of art history as well as conservation, the book consists of forty-six texts, some never before translated into English and many originally published only in obscure or foreign journals. The thirty major art historians and scholars represented raise questions such as when to restore, what to preserve, and how to maintain aesthetic character. 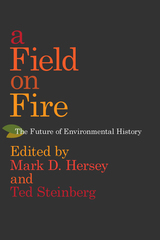 Excerpts have been selected from the following books and essays: John Ruskin, The Seven Lamps of Architecture; Bernard Berenson, Aesthetics and History in the Visual Arts; Clive Bell, The Aesthetic Hypothesis; Cesare Brandi, Theory of Restoration; Kenneth Clark, Looking at Pictures; Erwin Panofsky, The History of Art as a Humanistic Discipline; E. H. Gombrich, Art and Illusion; Marie Cl. 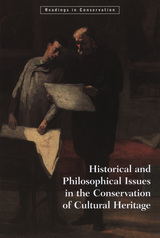 Berducou, The Conservation of Archaeology; and Paul Philippot, Restoration from the Perspective of the Social Sciences. 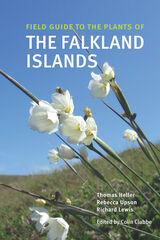 The fully illustrated book also contains an annotated bibliography and an index. Samuel Quiccheberg’s Inscriptiones, first published in Latin in 1565, is an ambitious effort to demonstrate the pragmatic value of curiosity cabinets, or Wunderkammern, to princely collectors in sixteenth-century Europe and, by so doing, inspire them to develop their own such collections. Quiccheberg shows how the assembly and display of physical objects offered nobles a powerful means to expand visual knowledge, allowing them to incorporate empirical and artisanal expertise into the realm of the written word. But in mapping out the collectability of the material world, Quiccheberg did far more than create a taxonomy. Rather, he demonstrated how organizing objects made their knowledge more accessible; how objects, when juxtaposed or grouped, could tell a story; and how such strategies could enhance the value of any single object. Quiccheberg’s descriptions of early modern collections provide both a point of origin for today’s museums and an implicit critique of their aims, asserting the fundamental research and scholarly value of collections: collections are to be used, not merely viewed. The First Treatise on Museums makes Quiccheberg’s now rare publication available in an English translation. 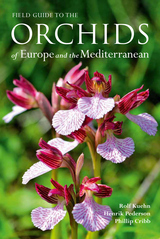 Complementing the translation are a critical introduction by Mark A. Meadow and a preface by Bruce Robertson. Professionals responsible for conserving contemporary art are in the midst of rethinking the concept of authenticity and solving the dichotomy often felt between original materials and functionality of the work of art. The contrast is especially acute with kinetic art when a compromise between the two often seems impossible. Also to be considered are issues of technological obsolescence and the fact that an artist’s chosen technology often carries with it strong sociological and historical information and meanings.